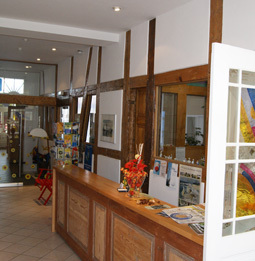 Welcome in our Hotel "Peenebruecke"! Visit the gateway to the sunniest island in Germany and we’ll be glad to welcome you! Our patrician house from the 16th century appears now as a comfortable Hotel. Generous, family friendly and individually arranged single rooms, double rooms and Apartments invite you to have a relaxed stay close to the harbor.